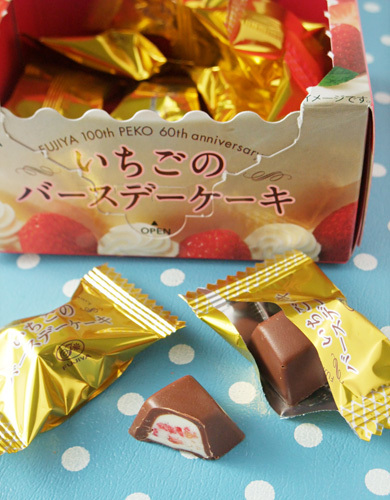 It’s a anniversary cake for 100th year of Fujiya company! Not a big fluffy cake, but a tiny chocolate candies cake. 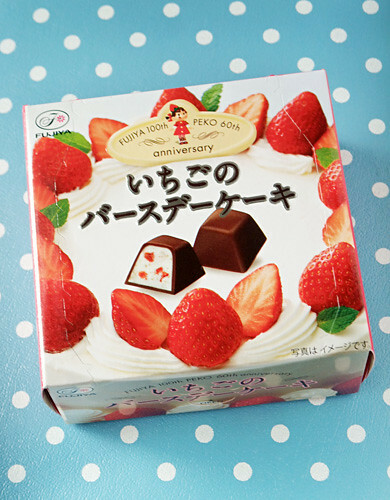 They say the strawberry shortcake (sponge cake with fresh cream) is the icon of Fujiya. That became a box of chocolate.